Not All Question Are Equal!! Augustine remains a philosopher at heart though deeply Christian. Despite the many errors he was in while pursuing philosophy before turning to God, he did not jettison it when he comes to believe . He used his philosophical insight to understand and explain the faith to which he had assented. He calls on God to assist him in his effort. He prays that God speaks to him as he is drinking at the fountain of his word (Augustine’s Confessions book xi, ii (3)). Two questions he would like to understand. What does it mean that God spoke when he was making heaven and earth? And what was God doing before creation? If he was not doing anything, why did he not remain like that forever? If he became occupied, it seems that God is not eternal. ‘Fides querns intellectum’ is what is at work here. In answering the first question, notice that Augustine has no doubt that God creates heaven and earth; he only wants to know how he made them. He cannot speak to Moses because he is no more. Heaven and earth cry out they are made insofar they suffer change and variation. So he cannot ask them. It is not worth asking ourselves because the manner of our existence testifies that we are made. Although we are good and beautiful and have existence, we are filled with deficiency in comparison with our Maker (xi, iv (6)). How did God make them then? Not the way a craftsman fashions an object for a craftsman “imposes form on what already exists and possesses being”. Moreover, God did not make the universe within the framework of the universe for there would be no place for that to happen. Neither did he have a tool in his hand for nothing was made yet. From this method of elimination, Augustine concludes that heaven and earth were made by the Word of God. “He ‘spoke’ and they were made” (xi, v (7)). That spoken Word is nothing like a voice, which has a beginning and an end, transient and temporal, and always in time. The Word that God spoke is very different and abides forever (xi, vi (8)). No element of it yields to place or succeeds to something. It is coeternal with God. It is uttered eternally. It has no beginning and end for it is the Beginning and End and is spoken in ‘simultaneity of eternity’ (vii (9); viii (10)). That Word that God spoke to create heaven and earth has always existed. It has never been in time. It shines right through us and strikes our heart without hurting it. Before it, we are filled with terror and burning love. We are filled with terror insofar it is utterly other than us, and with burning love insofar we are akin to it (ix, 11). That’s the Word that creates heaven and earth. Understanding this gives a broader understanding of God’s nature and so allows him to answer more impertinent questions. No question is more impertinent that the second question. Asking it is to attempt to taste eternity when the heart is still flitting about in the realm of transient things. To discover this answer the heart needs stability (xi, xi (13)). The funny answer is that “he was preparing hell for those who inquire into profundities” for he was not making anything for making something implies being in time. God is outside of and creates time. It certainly did not elapse before God made it. So, such question is foolish (xi, xiii (14)). God is the same yesterday, today and forever. As Augustine puts it, “God’s years subsist in simultaneity”. His “years are one day, and his ‘day’ is not any and every day but Today, because his Today does not yield to a tomorrow, nor did it follow on a yesterday. His Today is Eternity” (xi, xiii (16)). He quickly confesses that though he explains that God is not in time. He does not know what time is. As he famously says, “provided that no one asks me, I know: if I have to explain it to an inquirer, I know not” (xi, xvi (17)). Well, he did, wait for the next post for his answer. Many seem to work from the principle that questions are more important that answers. St Augustine is one of these people. He never misses an opportunity to ask questions. In his attempt to answer a question, he asks more questions. Thus, in this post, I am going to consider two of the many questions he asks in the Confessions. The first questions deals with what it means to ask God to come into us. He wants to know what comes first— to call upon God or to praise God and whether knowing God precedes calling upon God. The second question has to do with how to use the gifts bestowed on us by God. 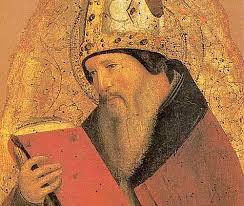 For Augustine, all talents/gifts must be used as a mean to come closer or to give glory to God. So, he questions: what advantage to have a good thing and not to use it well? I want to show that questioning leads him to find the truth— God, and that truth must be given priority over everything. In answering the first question, he believes first of all that we must know God in order to call upon him. As he puts it, we must know something before we can call on that something; otherwise, we may end up calling on the wrong thing. However, there is no knowing God unless we call him in prayer. So, before we start calling, we need to have faith. In order for faith to grow, preaching is necessary. Unless the message is preached to us, faith cannot be developed (Confessions book I, I, 1). In summary, the message is heard through preaching, then that gives rise to faith. Through faith, we beg God to make his dwelling in us. When he does that, we truly know him. Then, he delves into a series of rhetorical questions about what it means to call God to ‘come into me’. How is he coming in us? He creates heaven and earth, and they cannot contain him. How can he come into us small as we are? Whatever exists has existence because God sustains it into being. So God is in everything (II, 2). How? Is he in everything as a whole or does each thing contain some parts of God? Is God in heaven and earth or is heaven and earth in God? (III, 3) Are we in God or is God in us? Why call on God if he is already in us? He wrestles with that question back and forth. He then concludes that God is incomprehensible and immutable (iv, 4). That tells if a person cares about finding the truth and lets himself be led by reason, he can come to know some of the attributes of God even before he hears the message of the gospel. The next question that I find interesting is Augustine’s personal reflection of how poorly he had used the immensity of his talent. He realizes he was gifted in the art of speaking and disputing, incisive in the liberal arts, and well versed in music and numbers without the need of a teacher. However, instead of using them to come closer to God, he used them to travel away from God. He feels his capacity causes him more harm than good (book IV, 30-31) because he did not dedicate the vastness of his knowledge to God. In hindsight now, it is clear to him that knowing all these things without knowing God was worthless. A person who knows God is happier than a person who has all the knowledge of the world and yet is ignorant of God. It is infirmity to rely on one’s own strength. The good life is to be in the bosom of God. 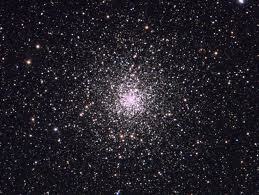 No knowledge of the sciences and the liberal arts are needed for that(iv, 31). If we do have them and fail to use them for the honor and glory of God, what advantage is that? Each one of us has an Augustine in us. Deep down, we are all looking for answers. We are all seekers of the truth. Although it would take long period of frustrations and incalculable amounts of time to find, the truth can be found in philosophy, philology, mathematic, physics if we carefully look. But I shall show you an even shorter and more excellent way— Jesus Christ. He is the way, the truth and the life. He is the answer to your questions. Give him a chance. He is looking for you even more than you are looking for him.